Councilperson Jan Perry pointing out a suspicious blogger to Kazuo Kodama, the Consulate General of Japan in Los Angeles, at The Japanese New Year Celebration for 2008 held in Weller Court New Year's Day. 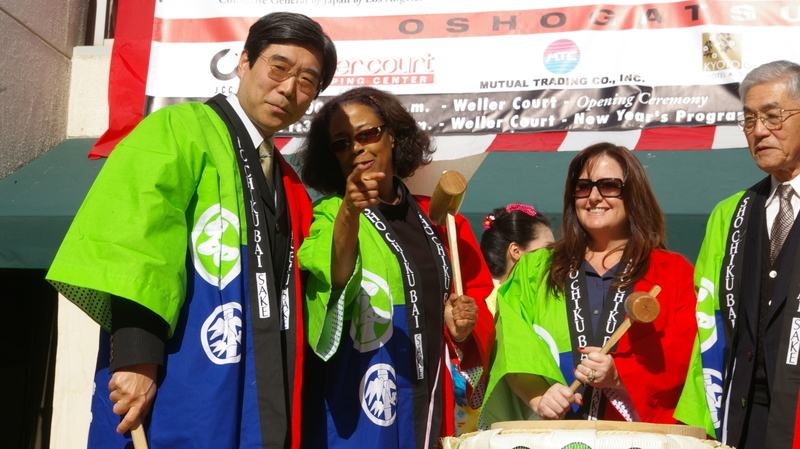 The day long celebration was kicked off by Taiko (Drum) Center of L.A. Loose details at DotDotDash via blogdowntown.